Our International Customer-OnLine team was thrilled to be nominated for Digital Team of the Year earlier this year. 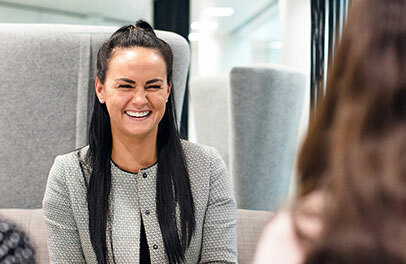 Development Manager Vikki Bowman tells us all about the innovative work the team is currently producing and how Agile has transformed their offering. 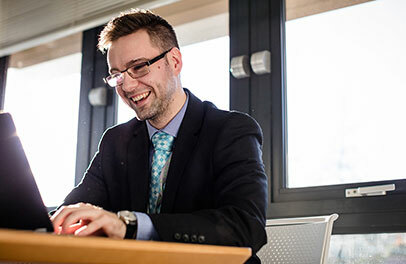 Being a manager in IT, an important part of my role is to oversee communications within the engineering and delivery team, building motivation and ensuring there’s good engagement across the wider IT team. That really is the key to creating an environment where innovative ideas can be brought to life, and one of the reasons we’ve switched to an Agile way of working. In the past, we followed a method that saw system changes implemented twice a year, so it could take up to six months for people outside of IT to see the improvements. But since 2014, following our move to Agile delivery, changes are now made fortnightly. And it’s making a big difference. The International Customer-OnLine team has been able to introduce lots of new and innovative features for customers recently, and that’s why they were finalists for Digital Team of the Year at Computing’s Digital Technology Leaders Awards 2017. Putting the Customer First is one of AXA’s core global values, and is something that’s at the heart of everything we do. The switch to Agile has allowed us to launch new features and improvements for our customers in a short space of time, each designed to make things easier for them. We’ve redesigned our AXA PPP International customer portal to make it mobile responsive, so our customers can find the information they need, when they need it. There’s a new display and way of managing claims payment preferences, the navigation structure and homepage now focuses on user experience so it’s much more intuitive, and we can now highlight renewal information and documents for customers six weeks before their renewal date. Thanks to our Agile way of working and ability to collaborate across teams, we’ve built a much more informative portal, ensuring that the customer is in control and has everything they need at their fingertips. Our ultimate aim is to be able to implement changes on-demand, based on our customers’ needs. As well as receiving a nomination as part of the Digital Team of the Year at Computing Digital Technology Leaders Awards 2017, Lee Motley, Principal Developer in the team, was nominated as Developer of the Year. 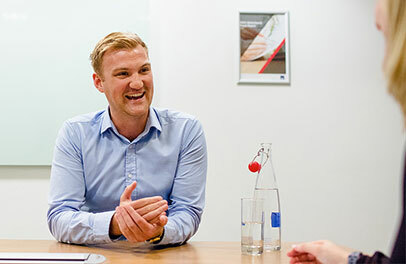 Lee returned to AXA PPP healthcare in 2005 as a graduate after completing a placement year with us in 2003. Recently Lee has been looking into Artificial Intelligence (AI) and how digital assistants such as Cortana and Alexa can make a difference. In April, he led a team from AXA PPP at a Global AXA Hackathon collaborating with peers from across the globe to deliver a prototype ChatBot. 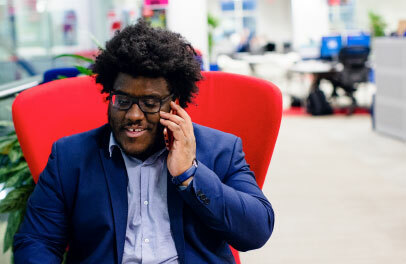 But being part of the IT crowd at AXA isn’t just about Agile principles and customer portals, we also organise and get involved in a whole host of activities and events designed to give everyone at AXA a voice and the chance to contribute to innovative ideas and projects. 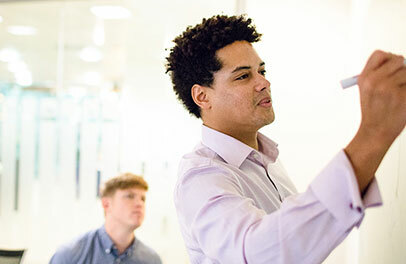 Over the past few years, we have been involved in arranging and participating in three AXA hackathons – multi-day events where people from across the business collaborate to solve problems and challenges designed to improve the way we do things. It’s great to see everyone working together, and for the ideas that come out of the event to be turned into reality. As well as organising the AXA hackathons, we are very active in companywide events. In 2017, two teams from AXA PPP IT were top ten finalists at AXA UK and Ireland’s Collaboratory innovation programme. Over 400 ideas from across the UK and Ireland were submitted to the challenge asking for ideas to help change the future of AXA. We’re very proud that one of our two finalists reached and won the final stage. After three months of hard work, it all came down to a two-day hackathon and one final pitch in London. The winning team will work to deliver their idea in 2018, and get to visit the European Innovation Hub to help bring their vision to life. I can’t wait to see what they produce! 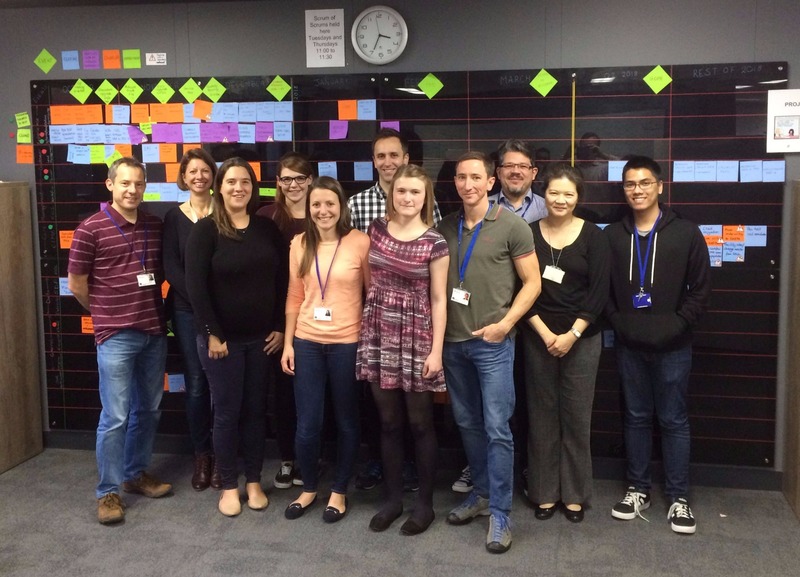 Thanks to Vikki for sharing her insight into life in IT at AXA PPP healthcare. Our IT department have a lot more innovation activities planned for the future, so if you’d like to be part of it, take a look at our current vacancies and apply today.